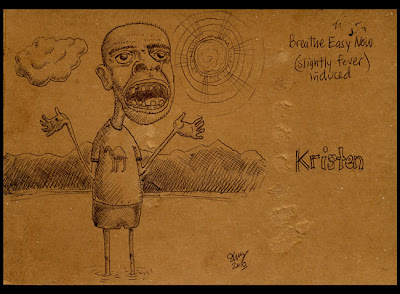 Another Victory six-pack postcard drawing for Kristen (this one was Prima Pils – my favorite hoppy summertime beer). This was her reward for going 30 days without smoking. It’s meant to signify the clean air and sunshiny, outdoorsy, slightly religious iconic, enlightenment feeling that she can now feel because she’s not smoking. I did this the other day in a groggy, achy, slightly fevered, New Year’s flu state. If you think you deserve a major award, let me know. This entry was posted in 6pack, breathe, fresh air, lake, mountain, postcard, six pack, victory. Bookmark the permalink.